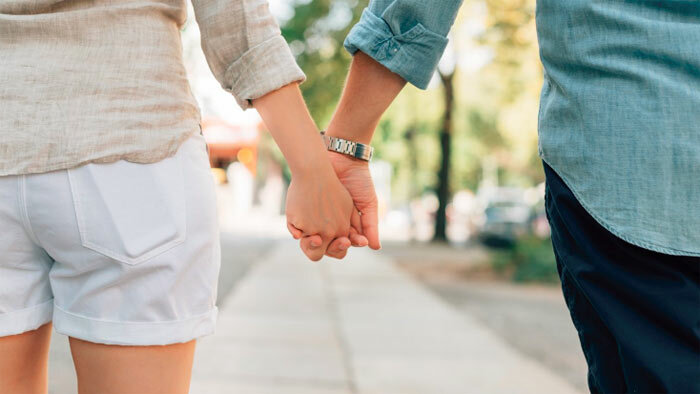 Some celebrity romances are there for all to see them budding, sometimes right on the set of an upcoming movie, but others spring on us totally unexpectedly, and even close friends had no inkling that it might come about. As usual, life is in the fast lane: while there are couples who can’t make it through the year 2018, for some it is a love-lucky time. Like that surprising piece of news that business mogul Elon Musk fell in love with Amber Heard – who could have guessed it? You would agree that it isn’t your ordinary kind of paring. It’s not that we hadn’t come across such unexpected unions before, we had, but come to think of it, Musk getting hot for Johnny Depp’s former lover – many people would surely have thought his tastes would sooner lead him in a different direction. What’s more, he should be a busy man with hardly time enough for serious wooing. But here we are. 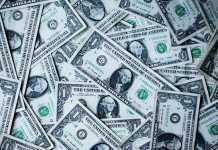 But as soon as we have accustomed themselves to the idea, Elon and Heard said enough was enough. And it was not the first time they decided to split up, so it was an on-and-off affair limping along and probably petering out completely before the year is over. Yet here are some more new dates who may wade through troubled waters of relationships and enter safe harbors. 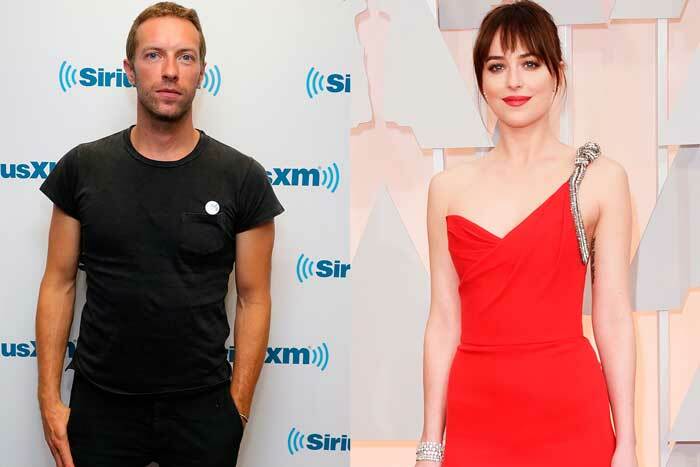 Read through these astonishing pairs (like Leonardo DiCaprio’s or Dakota Johnson’s) and make your guesses whether they are likely to last for long. Leonardo DiCaprio has been sharing joys of life with many women, and there must be something special in the IMG model to make him fall for her charms. The A-lister was seen stepping out of her L.A. house. Although 20-year-old Morrone is younger than the actor by more than 20 years, they must have found many things in common to overstep the gaping age difference. Morrone then also went out casually attired in a crop-top that showed her stomach and black sweatpants. To go by her looks, it is very likely that she has the Oscar-winner trapped believing she was Heaven sent. Does she think that she may well be on the road to becoming another old burned-out passion? Although Tom Cruise is still remembered as the husband of Katie Holmes in what was considered at the time to be a marvelous marriage, five years have passed since they accepted that it had been a failure and broke up. No doubt it was a painful time to live through, yet there was nothing to be done but divorce and take the consequences. Since then both of them have moved on. Holmes is engaged in a passionate romance with Jamie Foxx, and Cruise feels mighty fine having hooked up with Vanessa Kirby. Both of them seem to enjoy every moment of their affectionate relationship, so it remains for us to be glad for those two. Emma Watson’s fans have a good reason to be happy for her, for she seems to have met her dream man. Watson, remembered forever as Harry Potter’s Hermione Granger, portrayed this clever pupil of magic so fetchingly that hearts of viewers went to her in millions. One of them may have been Chord Overstreet’s at the time when he didn’t know yet that there would come a time when he will walk with her hand in his. Still, it happened, and they really appear all over each other! While their love affair comes as a surprise to some fans who need more time to let it sink in, for Watson the Glee star looks like an answer to the maiden’s prayer. At least, when walking about the city, she gives them looks that would delight any man on earth. 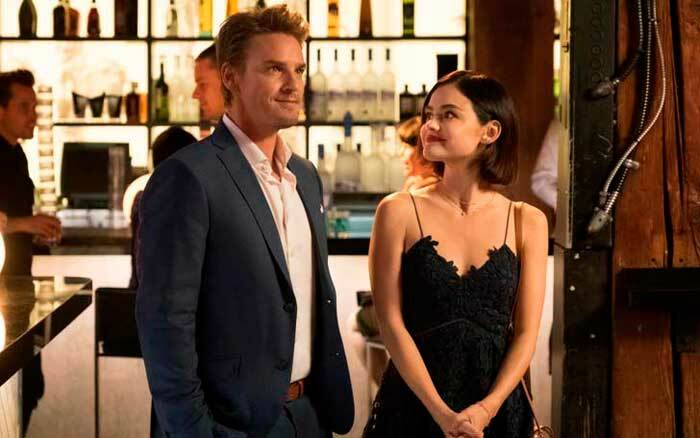 Among the actresses who have got themselves a new boyfriend to make 2018 a memorable year is Lucy Hale of Pretty Little Liars. Now Hale, with her wit, golden heart and an enviable appearance, is a perfect catch for any guy. The star of the teen drama ought to know how to present herself, and Riley Smith obviously appreciates this gift. The two were seen kissing, and that was not just a passing whim but had all the signs of an affectionate relationship. According to a report by People Hale and Smith were together on Valentine’s Day enjoying each other’s company at Pace Restaurant, Los Angeles, at a special dinner. We can only wish them to retain the warmth of their relationship for many a felicitous year. The Jonas Brothers band is, alas, no longer with us, but Nick Jonas is very much active both on the concert stage and in private life – probably, more so in the latter as he recently started going out with the actress Madeline Brewer. Both in the middle of their 20s, they looked awesome together during their night out. They even had themselves photographed as the singer and songwriter were dining with the Hemlock Grove star whose auburn-tinted hair adds extra charm to her on-screen talent. Brewer has been in a great demand lately after putting herself on the map in Orange Is the New Black and other TV series. Small wonder, then, that Jonas looks smitten by his new effervescent love; they are still very much a fresh couple carrying their love on for – how long? There’s no telling yet. 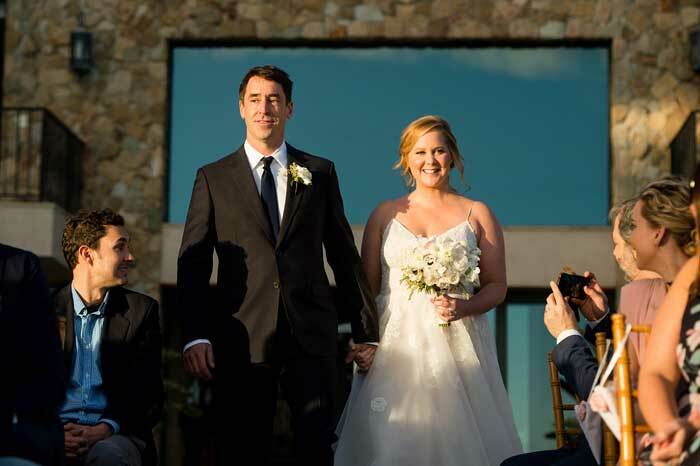 For the gorgeous comedian Amy Schumer it is the year of love – and more. She has drawn the eye of chef Chris Fischer, and their love evolved into a full-blown marriage! It looks as if they expect a lot from their relationship, and they are moving quickly from bliss to more bliss. At the beginning of the year, Schumer and Fischer displayed themselves to the public as a couple accentuating the fact with a picture which showed them kissing tenderly. Actually, there were speculations about their relationship starting from last November, when they shared a dinner and a cozy chat in a New York restaurant and were caught on a camera. Yet at the time none of them was ready to comment on the occasion; only this year they came out in the open, surprising many of their fans over how and when it came about. Millie Bobby Brown is the captivating actress from Stranger Things who played Jane “Eleven”, the girl with psychokinetic abilities and played so well that the viewers of the TV series took to her immediately. She has already won a handful of awards and is moving on fast towards the A-list. Now she is deep in a romantic relationship, which is official news, as can be established by all her Instagram followers. In spite of her young age, Brown is a warm-hearted girl and doesn’t neglect her personal life. She can be seen in the company of her young man, Jacob Sartorius, a singer and an Internet personality from America. Millie Bobby is really attractive and she’s certain to win over armies of admirers in foreseeable future. With celebrities, it’s always a hard choice between wanting to be in a public eye inviting admiration and enjoying a modicum of privacy. Of course Hollywood is not the best place on earth to provide the amenities of seclusion and solitude – on the contrary. So Dakota Johnson has few chances to avoid curiosity over her hooking up a new boyfriend. He is none other than Coldplay’s Chris Martin, the man Johnson loves walking about town with lately. The Fifty Shades of Grey star was spotted holding the musician’s hand and looking elated. As People recounts, Johnson and Martin rove over in the singer’s car enjoyed themselves and went back in high spirits having picked up a few goodies to eat. A brand-new love affair – or rather, a celeb fairy-tale of love – is told to us by the 21-year-old Josiah Duggar and his belle Lauren Swanson. Besides being a highly astonishing match, the two seem to disregard the paparazzi completely, ready to take the consequences. The happy guy informed us all that he had encountered the love of his life in January, making instant headlines. 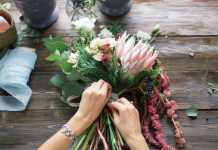 Having been friends of long standing and then becoming an acknowledged pair, they make us wonder if there has always been a deeper affection underlying the friendship. As Duggar stated to People, they “are overjoyed to begin this new phase” having known each other for so long. He still calls Swanson “a great friend,” although this time with a slightly different meaning! 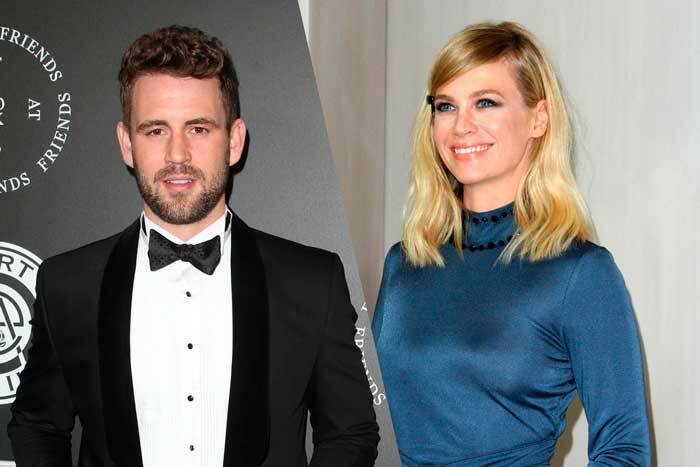 The American reality TV actor Nick Viall, a star of the ABC’s The Bachelor series, and January Jones, the Mad Men main blonde, had long been telling everyone they were only friends. If you thought at the time the pretense was hardly tenable, well, you were right. They did their best to play down questions about their relationship, yet they certainly looked more than just friends when they celebrated the ravishing actress’s birthday at the beginning of the year. Then, Jones doesn’t hide her admiration for Viall’s reality TV franchise. It sure comes across as a deep attraction on her part, they have to be on a closer footing than they make out. When asked about her attitude to Viall, Jones replied that it’s always a toss-up between liking him and believing “he’s a scumbag,” and it is very attractive! A truly surprising romance, there’s a fresh dating couple – pioneer driver Danica Patrick and NFL quarterback Aaron Rodgers. Although they are not much for PDA, Patrick didn’t stoop to refuting the dating rumors in her interview to The Associated Press. She’s one wonderful athlete and deserves a guy who would adore her as Rodgers apparently does. He was actually the first to confirm that they are together. The charming Patrick seems to have swept the Green Bay Packers hero off his feet.